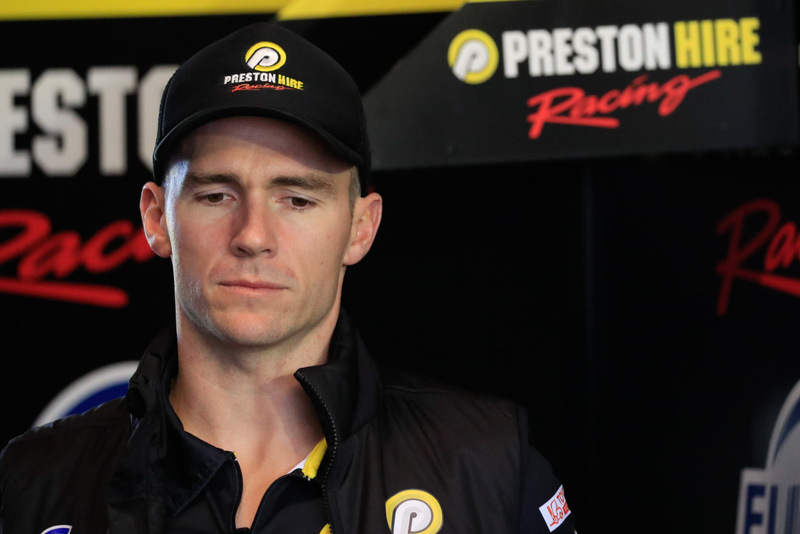 A day of testing at Winton has put “any concerns to bed” for Lee Holdsworth, who will return to drive his Preston Hire Racing Supercar at next week’s Wilson Security Sandown 500. Sidelined since his Darwin crash that left him with a fractured pelvis, rib and knee issues, Holdsworth is confident he will be able to complete the miles required at Sandown after today’s extended running. Holdsworth spent time behind the wheel of his new car at the last event at Sydney Motorsport Park, completing a handful of laps in practice and at the following ride day – but today was the big test, and he passed with flying colours. “I feel great, it was a good test of fitness – I am a bit buggered but that was to be expected,” Holdsworth told supercars.com. “I would’ve done close to 100 laps, about 300km today – so probably close to what I’ll do at Sandown, to be honest. While the 33-year old had been hopeful of returning for the last event, co-driver Karl Reindler took the reins and earned some valuable miles behind the wheel of the race car. Allowing Reindler to run was the right choice, Holdsworth says, but he is happy with how smooth the recovery has been given his accident recorded a 95g impact. “It is crazy looking back on the injuries and everything, I was maybe a bit over-ambitious to get back sooner than this but to have the recovery go so well I’m pretty happy. I don’t think it could’ve gone any better, to be honest. There was one thing the team wasn’t able to practice in the pre-enduro test though – Holdsworth believes driver changes will be his biggest challenge come Sandown. “Fortunately the stop for fuel takes around 30 seconds so we won’t have to rush it, but it’s quite difficult to get into the car when it’s jacked up. “Karl and I will go through our process before Sandown and do slow ones so we know our roles – we’ll probably have a driver helper as well – and then do some proper ones once we get to the round. 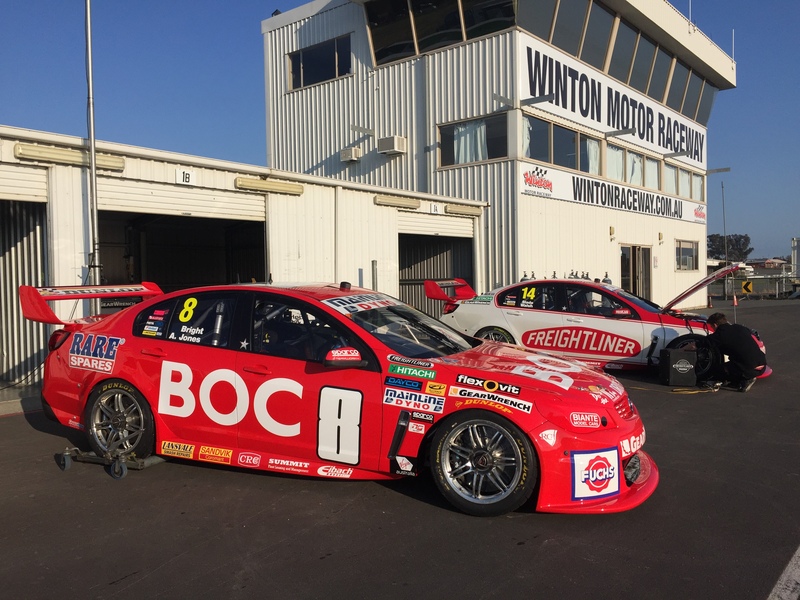 Preston Hire Racing shared the track with four other teams, with Holden Racing Team, Garry Rogers Motorsport, Brad Jones Racing and Prodrive Racing Australia all using their final test day of the year. All teams were positive about the day, with fine conditions and no hold ups or mechanical issues. HRT boss Adrian Burgess is excited to get back on-track after today’s progress, with co-drivers Warren Luff and Jack Perkins getting plenty of miles. “Today ran extremely trouble-free, which is always nice going into the enduros,” he told supercars.com. “We’re just carrying on the philosophy change we’ve had, validated some of the changes we’ve made earlier this year and I think as a team we’ll go into the enduros relatively positive after the news a couple of weeks ago. Garry Rogers Motorsport focused on getting Dunlop Series driver James ‘Bieber’ Golding plenty of laps given he is stepping up to co-drive for the first time with James Moffat. “Everything went good, we tried a few things we wanted to try – nothing too experimental because our whole program is just to try and get the guys, Bieber in particular I suppose, a few more laps and that all went very well,” Rogers told supercars.com. Prodrive Racing Australia and Brad Jones Racing tested just before the last round at SMSP, but were still able to validate some of the changes made and were happy at the end of the day. Super Black Racing had Richie Stanaway at the track for the second half of the day, the young Kiwi available sooner than original expected. 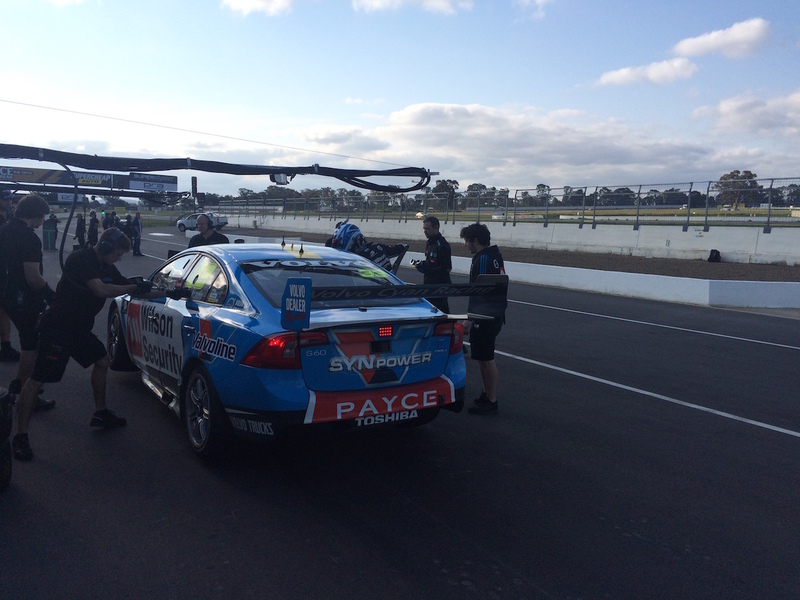 “It was a great day, we had all the drivers there,” Prodrive boss Tim Edwards said. BJR head of engineer Andrew Edwards estimated their cars did about 120 laps each. “It was a pretty solid day, the co-drivers did some pretty long stints and were comfortable in the long runs,” he said. Victorian-based squad Erebus Motorsport will test at Winton next Tuesday, while the Queensland teams run on Thursday at Queensland Raceway.